The magic and mystery of heavy metal is somewhat of a closed book to me. That the musicians are skilled is not in question, and their fans are models of admirable loyalty. But the merch? Not for me, that whole “black tee-shirt with a picture of a bong-smoking skeleton riding a motorbike across a desert which is also the body of a tanned Amazon warrior in a metal bikini” look. And a lot of metal lacks, to my ears, light and shade. Often enough it is just pitch-black, from screaming beginning to screaming end. But I have met and chatted to pleasant and cultured people wearing the black tees, and they are not the perpetual adolescents the art-work might suggest. Their passion for and appreciation of the music is real. What is more, metal fans put their money where their pierced tongues are. This record is a seriously obscure early release by a Melbourne, Australia, band Virgin Soldiers. It was put out by a label called Metal for Melbourne (their fourth, and last, release). It is also seriously metal: the two sides are labelled Metal A and Metal B. There are people who love it – enough that a Netherlands outfit put out a bootleg CD in 2008. Someone in Japan bought it from me for A$50, plus postage. Looking at what the record is selling for now (A$130+) I let it go pretty cheaply, but that is fine. I am glad the record has gone to a home where it will be played and loved. This is “Metal A”, track 1, a song which the same name as the band, “Virgin Soldiers”. (Which came first?) More than many metal tracks, there is light and shade. The band is tight, the production excellent. I won’t be buying the black tee with the skeleton anytime soon, but I can agree that for what it is, it is genuinely good. I took another walk around the neighbourhood and realized that on this earth as it is— The race is not always to the swift, Nor the battle to the strong, Nor satisfaction to the wise, Nor riches to the smart, Nor grace to the learned. Sooner or later bad luck hits us all. Hmm. Not perhaps the finest moment in the Message. Anyway, you get the point. Life ain’t always fair. Sometimes, people do something wonderful, and get no recognition. Case in point. In 1974, Sam Leno released his one and only LP. It was on Anchor Records – not a major label, but home to Alice Cooper among others, so big enough. I am a researcher by trade, so to find out more about Leno did not seem like a challenge. Mainstream release, mid-1970s: should be easy. But no. The sole reference I can find to Sam was written four decades later – in a piece mostly about someone else. had one wonderful album called “Ordinary Man,” … these two artists are on the same wave-length, kindred spirits, soul-brothers. … It’s a rich, ignored musical style … Tin Pan Alley, pop songs of the 1920s and dance hall frivolity … Leno’s album was filled with these kinds of light, well-recorded, fun to sing melodies … Comrad is not imitating Sam Leno. How could he? I doubt Comrad ever heard of Sam Leno. Neither had I, but Apice is apt in his description and justified in his appreciation. This is the B-side of one of Leno’s handful of singles. It is a gem. It deserved to succeed, but didn’t. No further albums followed, and I don’t know what happened to Leno. The race is not always to the swift. One of the better things to happen in Australian music back in the 1980s was a band called Mental As Anything. In the slang of the day, to say someone was “mental” was an insult. It implied eccentricity and stupidity rather than mental illness, but even so it was a bit unpleasant. The Mentals, as they became known, took defiant ownership of the term. Singing quirky songs about life on the creative, dope-smoking fringes of suburban Australia, they were odd and out there and proud of it. One of the band was Martin Plaza – not his real name, it’s a place in central Sydney – and he released a solo album in 1986. A single from it, a version of a 1960s Brit pop hit “Concrete and Clay”, made the top ten in Australia. 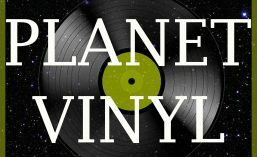 But Planet Vinyl is all about found sound, the unexpected, the unfamiliar, and that is what lies on the B side. “New Suit” is a song about a man who has bought a second-hand suit, and thinks he looks pretty sharp in it. A silly, lightweight song which didn’t even get on the album – but it is just the sort of whimsical, fun celebration of the ordinary which the Mentals did so well. I love it. There is a peculiar excitement in dropping the stylus onto a record which is a complete mystery. The label is blank, or illegible, or in a foreign language. Not Italian or German: an English speaker can puzzle those out, more or less. I’m talking seriously challenging languages: Russian, or Hebrew, or (as in this case) Chinese. What, you wonder, as you start the turntable, what on earth am I going to hear? It can be a disappointment. A Taiwanese pirate pressing of Barry Manilow’s Greatest Hits? Whoop-de-do. When Chan comes on stage, she moves subtly, gently swaying in a slow dance, all by herself. As she removes one piece of clothing after another, the tempo gradually picks up. When she reaches the point of removing her brassiere, she holds back. That is when her stagehands bring in the pythons, and she dances with the snakes wrapped all around her. Next, she removes her brassiere, and dances bare-breasted. It didn’t stop there, but this is a family-friendly blog. Let’s just say that later in the show, bananas and coke bottles were involved. Married many times, often in trouble with the law, especially as Malaysia came under the influence of conservative Islam in the 1970s, Rose Chan was flamboyant, unapologetic, brave. Not necessarily someone to trust with your life savings … but nobody’s perfect. And she could sing. Just listen to this – I don’t know what it is called, because I can’t read Chinese. I don’t understand the lyrics either, though you kinda pick up the general vibe. Not gospel, shall we say. But the whole thing is an amazing creation – Marlene Dietrich meets Chinese opera with a hint of Marilyn Monroe singing cabaret while wrestling with a python in a Bornean swamp. Question. How did this naughty record get to Australia, a country which long banned the importation of the novel Lady Chatterley’s Lover? A: Rose Chan did tour Australia in 1970, though she had an unhappy time of it, being prosecuted in Perth for indecent behaviour (the Lady Chatterley effect). Maybe someone saw her show before it was closed down, and bought the record. B: Quite a few Australian servicemen served in Malaysia in the 1950s and 1960s, involved in the conflicts which accompanied the de-colonisation of British Malaya. Rose Chan was, no surprise, enormously popular with troops stationed there. An Aussie Digger, farewelling the nightclubs of KL, could well have snuck Rose Chan record into his kitbag. My money is on Option B.